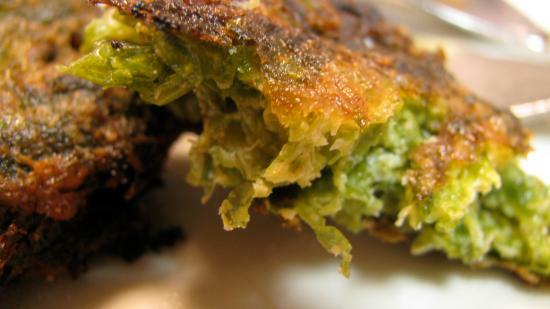 Tortas de Ervas do Calhau is Fried seaweed Corvo style, from the islands of the Azores. It is the most signature dish of the smallest island in the Azores, and is quite a unique one at that. 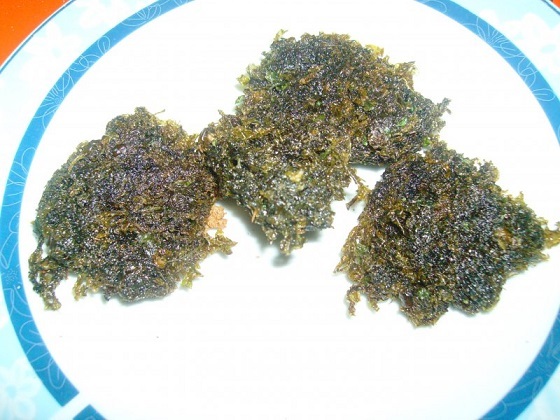 It uses seaweed found on rocks which are very healthy and nutritious fried in olive oil in combination with some eggs, garlic, flour, onion, and Portuguese spice. 1) Cut the erva (or seaweed) into small pieces with a sharp knife. 2) In a bowl, add it to the onion, eggs, flour, chopped garlic, and sweet red pepper paste. Mix it together well. 3) Form them into small balls and fry them in a large frying pan with olive oil. 4) Place them onto paper towels to dry. Serve.